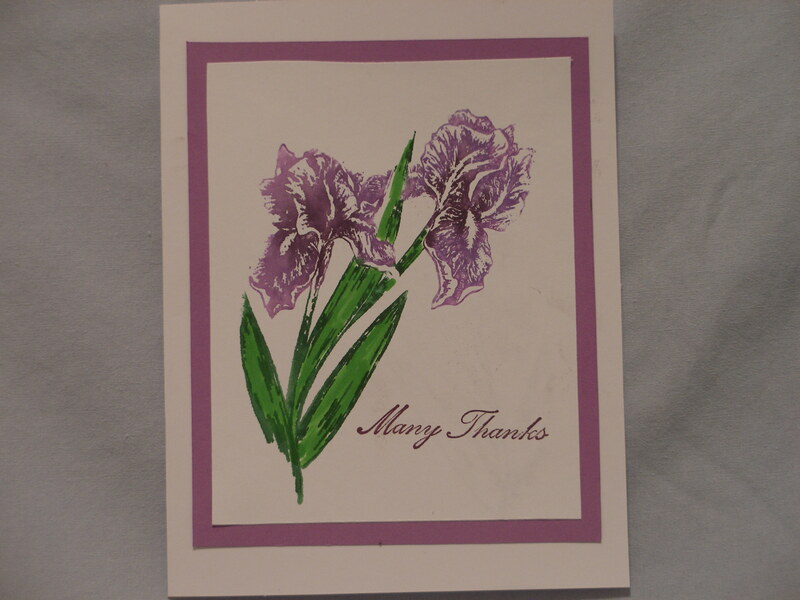 I used Stampin’ Up pens to color this stamp by Serendipity. Then I lightly sprayed it with water & stamped onto a white piece of cardstock. Using an Anna Griffin stamp I stamped the Many Thanks. Then matted it with purple cardstock. “What would I do without your friendship? stamp by Stampabilities. Matted in purple. The butterfly stamp in the right side on the inside is to cover a finger print smudge. I call it creative accidents. 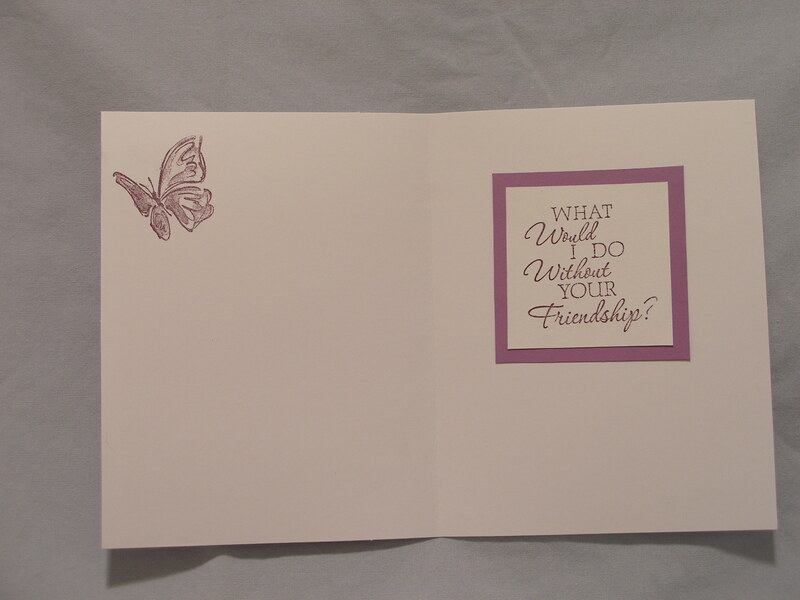 Butterfly & purple stamping ink by Stampin’ Up.